We had a special request today (which we need more of btw) for a Dark Cyanogen theme that looked pretty promising, so we checked it out and decided it was definitely Custom Theme Friday-worthy. *Note 1* – Only works on Cyanogen 5.0.6.2 ROMs and above. 1. Download and install MetaMorph from the Market. 2. 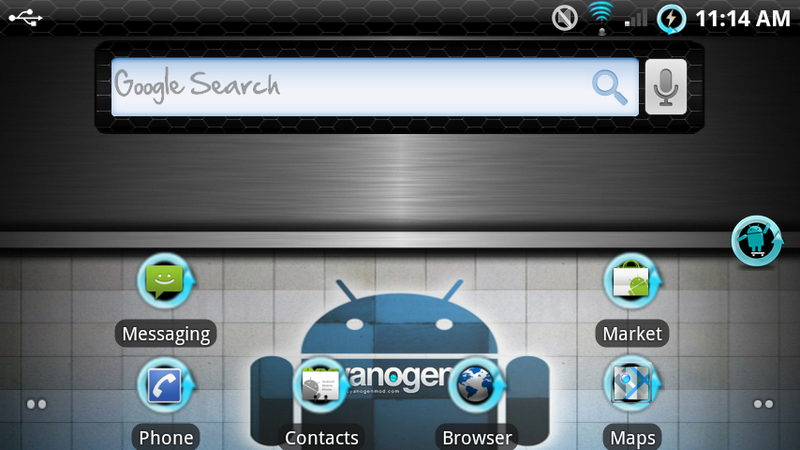 Download the Dark Cyan V2.2 theme file here. 3. Place Dark Cyan V2.2 file on your SD card and move to “AndroidThemes” folder. 5. Tap “Start checks” and allow that to finish. 8. Once the framework-res.apk finishes, choose to reboot your system. *Note 2* – If your phone goes to a blank screen after this file is applied, tap the power button and it should reboot your phone. Return to Metamorph and apply just this framework-res.apk file again. ESPN ScoreCenter Hitting Android This Month?